I was hired by Food Savvy to create a simplistic, understated logo to convey the meaning of the company. I met this goal by creating what appeared to be a minimal word mark to the naked eye, but with underlying symbolism. Because Food Savvy is a Nutritionist company ran by two dietitians, I thought a good symbolic representation would be a food scale. In order to depict this through a word mark, I used the "A" and "V" as arrows to abstractly represent the food scale. At Octopus Creative Inc. I was tasked with creating a brand for Bonnyville's newest Coffee Bar. This included the logo, brand fonts and colours, brand guidelines, and brand materials such as business cards. The client wanted their brand to portray their business goals, which was to produce high quality, artisan-style coffee from local makers. 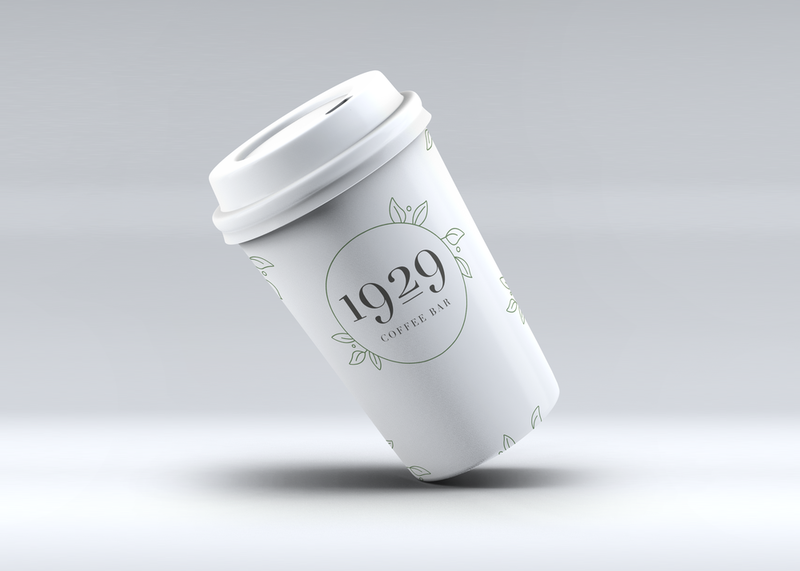 They also wanted to demonstrate the 1929 time era within their logo. Therefore, I created a simplistic logo that utilized leaves to symbolize the natural, organic feel of the company. Additionally, I chose a typeface that demonstrated the 1929 feel. EnerNext is a boutique legal and advisory platform that focuses on energy, cleantech and sustainability. I was hired to create a logo for their company, in order to enhance brand presence. They aspired for their logo to appear professional and modern. I did this by creating a simple, timeless wordmark with the "x" being the representative symbol. The "x" is broken up using an arrow symbol to represent the companies innovative approach to reaching client solutions. For their logo, my main focus was to represent the aspect of "community" and a "helping hand." This was achieved by creating a graphical representation of two people leaning on one another within the shape of a hand. The Ad Factor is a Marketing and Communications agency that focuses on creating creative campaigns for any business, big or small. I was hired by the Ad Factor to create their logo, as well as their brand guidelines and business cards. Their logo was created surrounding the theme of "open communication." The teal colour chosen for the logo symbolizes this theme, as does the speech bubble.